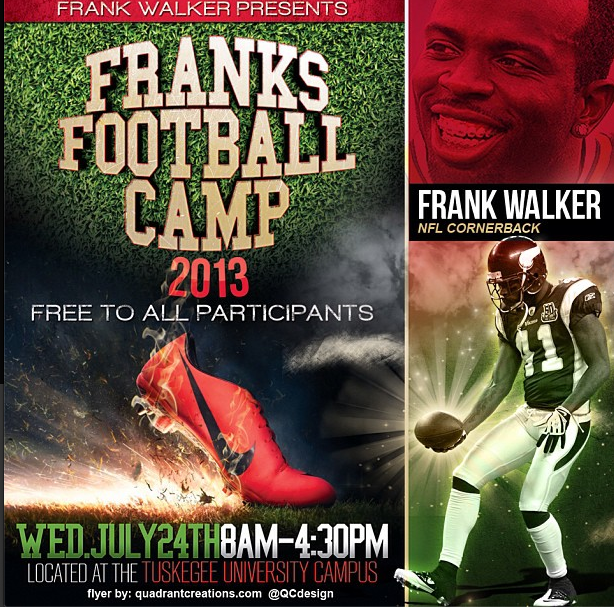 Each year Frank Walker, a native of Tuskegee, has put on a Youth Football Camp for the children in Macon County, AL. He also puts on Youth Football Camps in Lee County and Montgomery, Alabama. 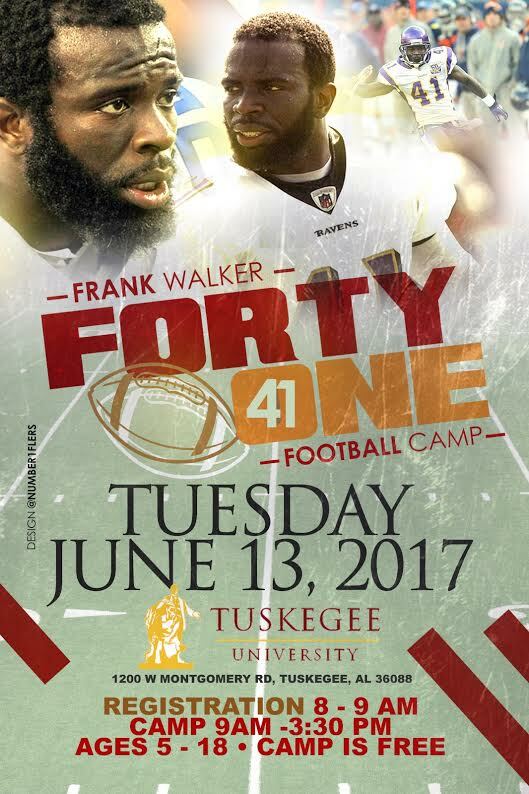 Frank was a star football player at Booker T. Washington High School, Tuskegee University and now as a professional athlete in the N.F.L. Frank loves the children and Macon County loves Frank Walker! He brings some of his football buddies each year to teach and workout with the future athletes. There is always an inspirational talk by the players and tons of fun! 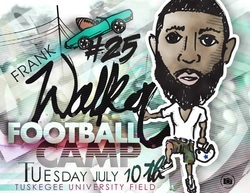 The Frank Walker Football Camp always takes place in July each year at Abbott Field, on the campus of Tuskegee University.